I giggled with glee when I saw Deb’s card for today. Totally FUN! Now, is this FUN or what!!! Double-sided paper works perfectly here to turn down the collar and have 2 coordinating prints. 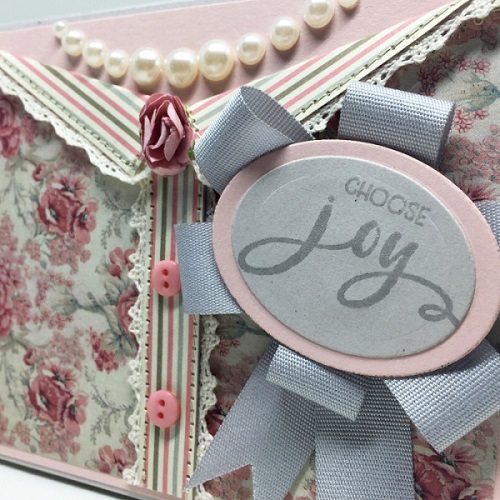 Deb, being a seamstress, did use her sewing machine to sew the lace trim on, but if you don’t sew, don’t let that deter you from trying a card like this. You could just as easily use the narrow 1/8″ Scor Tape to adhere your lace. Here’s a closer look at that detail. 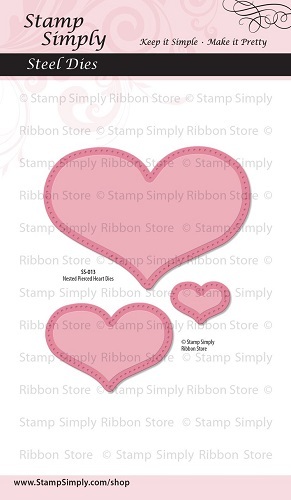 The corsage is made with Faux Canvas Ribbon and a die cut oval with stamped sentiment. And this is the inside, again, as pretty as can be with those lovely papers. 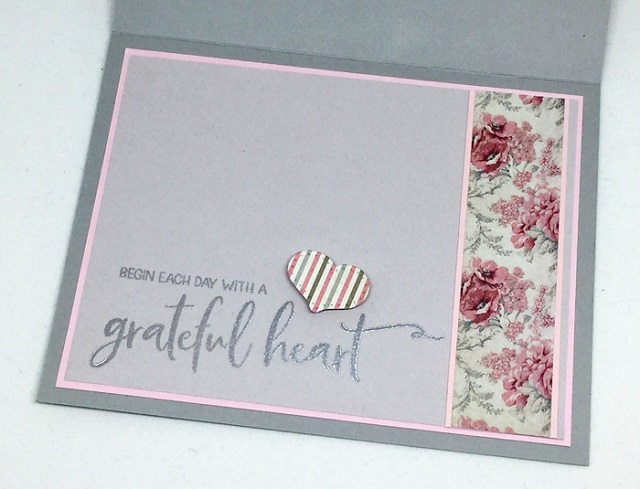 The beautiful ink used on this card is the Delicata Silvery Shimmer. They can be purchased separately or as a group (with extra savings!). Such a pretty vintagey double-sided paper pad! 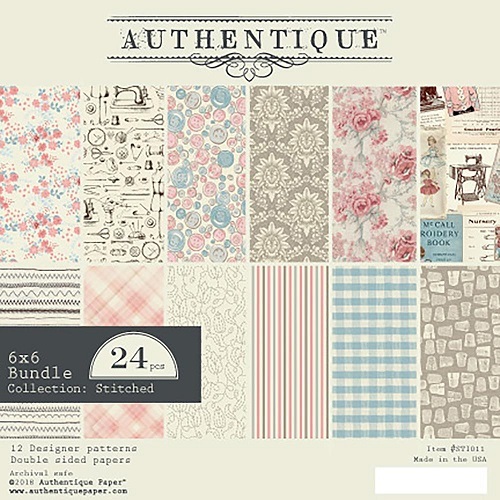 Find all paper pads in stock by Authentique here. This is the Farmhouse Pierced Nested Hearts die set. I love the delicate pierced edging detail and wider shape of these hearts. I will say, the colors seem a bit bland in this photo. The colors in real life are beautiful, brighter and crisp. This is a very lovely lace. We stock a HUGE VARIETY OF LACE in many widths, styles and colors. 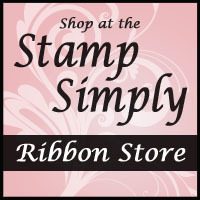 A lovely lighter weight ribbon in gorgeous colors. This is one of those ribbons that you’ll be reaching for again and again! 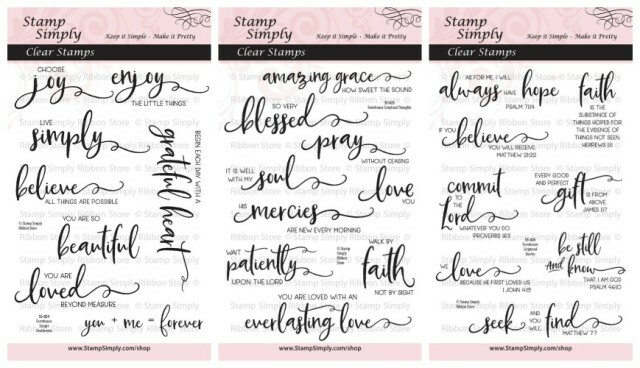 Available individually or in the sampler packages shown above. Find our release of Coffee or Tea? here. ALL Kaisercraft Christmas papers JUST REDUCED! View items in our Christmas section here – much reduced!